In February 2018 we launched our #BedtimeStories campaign. We need to raise awareness of the impact of online bullying and create greater online safety for children and young people. Bullying affects young people in many different ways. It can impact on their self-esteem, emotional wellbeing, education and life outside of school. Those experiencing bullying may feel self-conscious, embarrassed, or feel that they aren’t ‘worth’ help. They may feel scared, sad or overwhelmed, and find it difficult to sleep or eat. Many young people who have been bullied find it really hard to ever feel safe or confident in anything they do, leading them to isolate themselves from others and give up the things they enjoy doing. Listen to our HOPELineUK staff discuss the reasons for our #BedtimeStories campaign on Radio City 96.7. Read about #BedtimeStories in the Huffington Post. From calls to our helpline HOPELINEUK we know that bullying can cause many young people to feel isolated, worthless, and experience thoughts of suicide. As many as 40% of the contacts we receive from children and young people aged 11-18 involve issues around online bullying. For many, it can seem like there is no escape, that the bullying will never stop or go away, and that everyone would be ‘better off’ without them. Other contributing factors may make it harder for them to stay alive – battles with diagnosed anxiety and depression, or hearing negative voices that echo the comments made on social media. These quotes have been taken from HOPELINEUK and anonymised to ensure they are not identifiable. Young people are increasingly using social media from a younger age; recent research has shown that 59% of young people had their first accounts at age 12 or under, despite guidelines from all social media sites that users should be 13 years old before opening an account. 45% of young people spend more than three hours per day on social media, and sometimes use social media between midnight at 6am. *Findings from survey undertaken by YoungMinds and The Children’s Society of children and young people aged 11-25 on their views and experiences of bullying online. This Safer Internet Day, we want to unite against bullying and consider what we can do to make our online environment safer. What can you do if you’re being bullied or if you’re worried about someone who is? Parents of children today didn’t have to cope with online bullying when they were growing up – so it can be confusing to know what advice to give children to help them cope. Click to download. Coping with being bullied and getting support can be really daunting. Many young people find it difficult to cope and may experience thoughts of suicide when they can’t seem to find a ‘way out’. Remember, you are not alone if you feel this way, and there is always help available. Click to download. Joining the conversation online and telling us why and how you plan to help stop online bullying – using the hashtag #BedtimeStories. 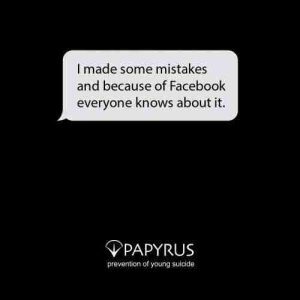 Helping us to support more children and young people at risk by making a donation to PAPYRUS: text PAPY17 followed by the amount you wish to donate to 70070. (If you are on an iOS device you can click here to open the Messages app), or you can make a donation through Facebook. If bullying is leading to thoughts or feelings of suicide, or you have concerns that a friend or family member is having thoughts of suicide, contact HOPELineUK by phone, text or email and talk to our suicide prevention advisors in confidence. Our advisors can provide short-term advice and support around staying safe from suicide, help you to work on a plan to keep safe for now, and look at ways to manage and cope with suicidal thoughts. Bullying UK can provide advice and support if you are affected by any form of bullying. 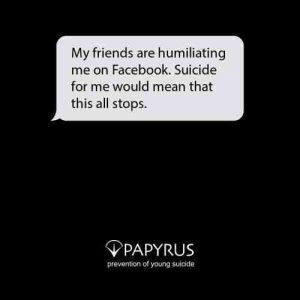 They have a confidential helpline on 0808 800 2222, online advice at www.bullying.co.uk or the forums to talk to others who are going through similar issues. 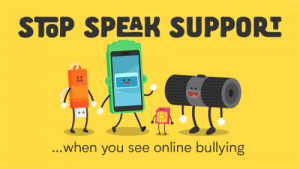 The Royal Foundation’s Taskforce on the Prevention of Cyberbullying has launched a national, youth-led, code of conduct for the internet:‘ Stop, Speak, Support.’ This aims to empower young people to stop online bullying by speaking out and seeking support. Find out more. 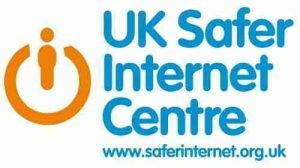 The UK Safer Internet Centre’s theme for this year is ‘Create, Connect and Share Respect: A better internet starts with you’. To help schools, youth groups and the wider community get involved, they have created Education Packs and a series of films focusing on online relationships and digital wellbeing and empathy. For more details click here.